TropicSport. Reef-safe sunscreen swap. Courtesy photo. A reef-safe sunscreen swap event will be held this Saturday, Aug. 18, 2018 at Hi Tech Kahului from noon to 4 p.m.
Those who attend the event can trade in a bottle of chemical sunscreen for a 1.5 ounce pack of TropicSport reef-friendly mineral sunscreen for $5 (normally priced at $10). 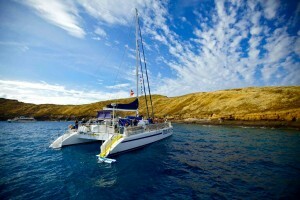 A portion of the proceeds will support the Hi Tech surf team. The first 20 people to swap in their chemical sunscreen will receive their product for free. Hawaiʻi professional surfer Jamie O’Brien will be at the event for a meet-and-greet and will sign autographs. In addition, prizes such as sunscreen and skin-care products from Tropicsport will be awarded to participants. 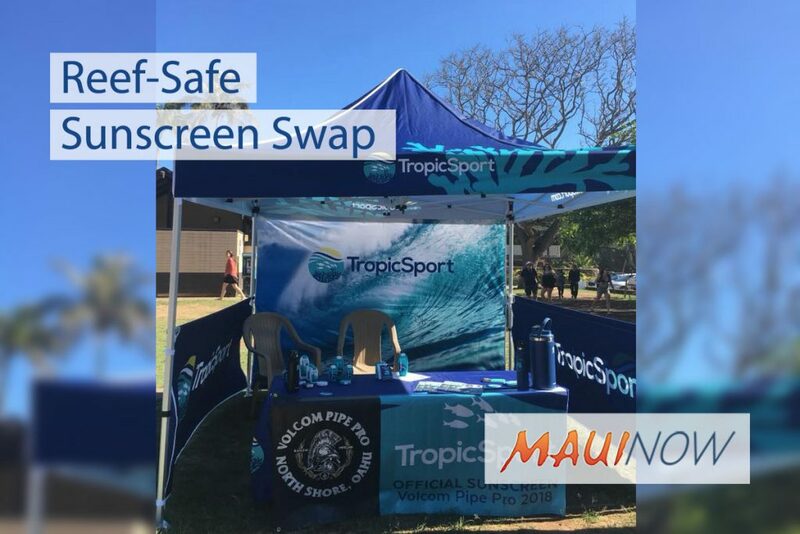 TropicSport and Hi Tech Kahului are using the swap to educate the public on the importance of using reef-safe mineral sunscreen to protect Hawaiʻi’s coral reefs. Oxybenzone, found in approximately 70% of popular sunscreens, can cause coral bleaching and coral death, as well as reproductive diseases in fish. Company representatives say the same sunscreen chemicals that harm reefs – oxybenzone, octinoxate, avobenzone and octocrylene – have also been found to harm the human body. 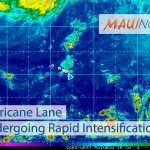 The State of Hawaiʻi recently passed a bill banning sunscreens which contain the harmful chemical oxybenzone to help protect coral reefs in Hawai’i. Although the measure bans sunscreens containing the chemical effective immediately, the date for the full ban is 2021, allowing for a transition period to get more oxybenzone-free sunscreen on the market for consumers. This event is one effort to educate the public and motivate the transition towards the use of reef-safe mineral sunscreen. TropicSport manufactures reef-friendly mineral sunscreens in addition to skin-care products. Its sunscreen products are made of non-nano zinc oxide and titanium dioxide, key mineral ingredients that protect the skin from harmful ultraviolet rays. All TropicSport products are bottled in recyclable containers and are environmentally friendly. 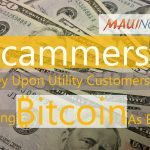 Hi Tech Kahului is located at 425 Koloa St. #107, Kahului, HI 96732. Ask The Mayor: Are Sunscreens Now Reef Safe?